Trust a worm to know good dirt! Is your perfect landscape, a STONE’s throw away? Choosing the right ground cover for your landscape seems like a daunting task. A common choice for most landscapes is quality top soil. It’s not unusual to see Mum’s and fresh fall vegetables popping through your gardens this season with a fresh coat top soil underneath. You may also see a lovely layer of mulch in your neighbors yard for a great base under blooming trees and protecting buds from frost. Something that isn’t as common but has just as much appeal is a stone landscape. 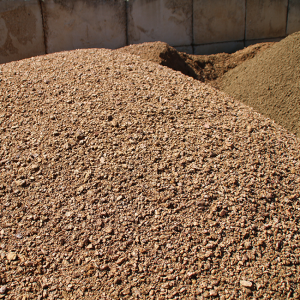 Stone, like mulch, has different color choices, styles, and prices. There are many different ways to utilize stone in your home’s yard. Before making the choice on your landscape. Take a look at some of the most popular stone options below, so you can have the best curb appeal for a steal! Is small, smooth, rounded stone about the size of a pea with smaller pieces. It can be used for pathways, driveways, and patio areas. 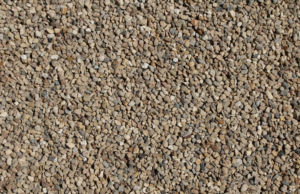 Pea gravel being small, is fairly inexpensive. It is colorful and packs a punch giving the “wow” factor to make your home stand out among your neighbors. 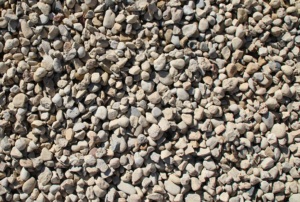 Be wary of the choice of pea gravel though, it can be difficult to maneuver wheeled equipment through your paths. It can also stray out of place if you don’t have your paths properly contained. Is approximately ¾” to 1″ in size with smaller particles. It is normally reddish brown in color. With its coloring and size the right use for this medium is walkways, patios, and being placed around colorful plants. 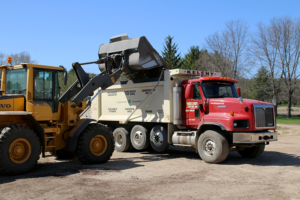 Crushed granite will have the same type of maintenance as pea gravel with weeding and containment, but the particles are larger; making equipment, like lawn mowers, easier to maneuver on top of it. #1 size which is approximately ¾” and smaller in size, but with no fine material so it will drain well. Used for drainage behind retaining walls and in drainage areas. Also used in making concrete. #2 size which is about 1½” in size with stones that are semi-rounded in shape. Madison Washed Stone is used as a decorative stone for foundations, plantings around a house, around trees and shrubs, around and under decks, or for pond areas or “dry streams”. There are so many different selections in landscaping, which can make your choice difficult. Keleny Top Soil can help navigate you through a variety of materials. Give us a call or contact us online today.